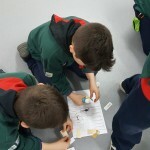 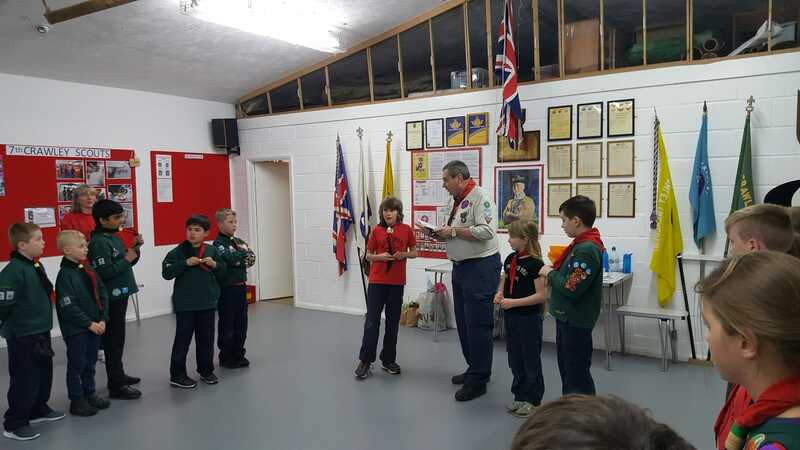 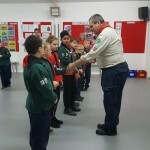 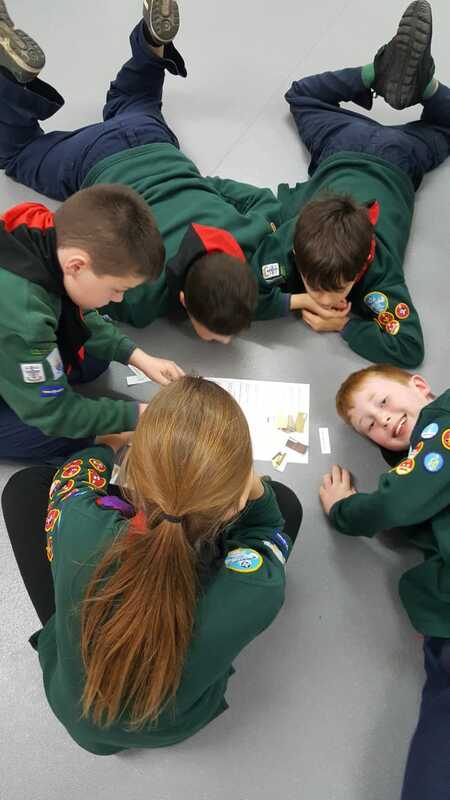 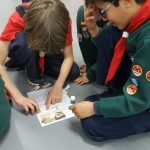 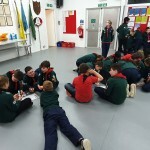 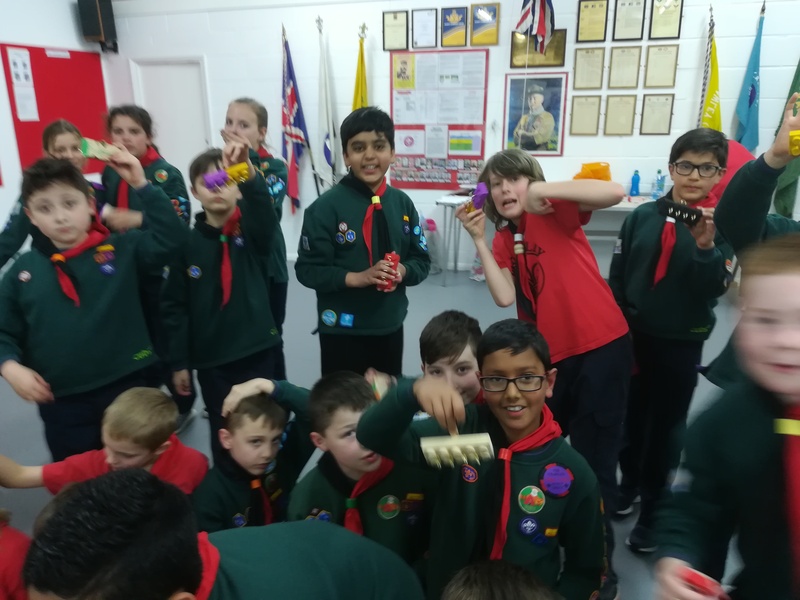 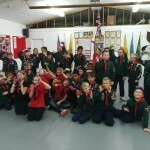 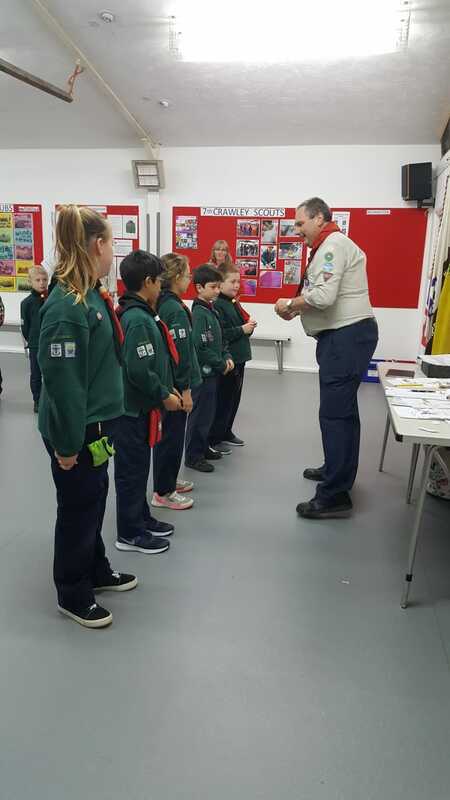 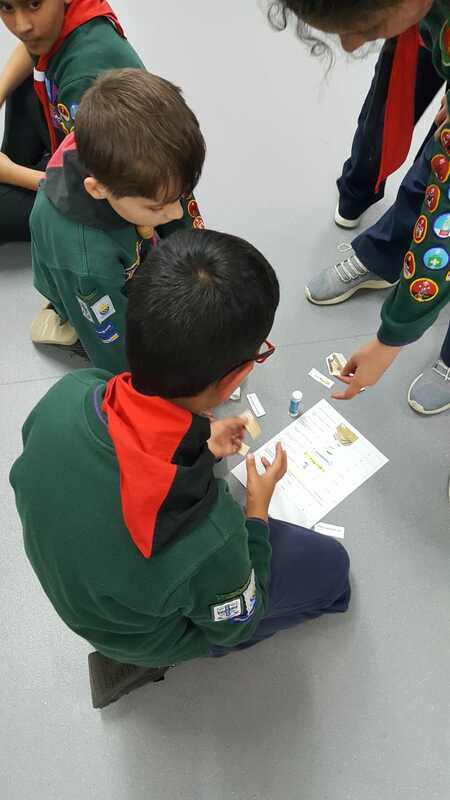 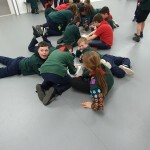 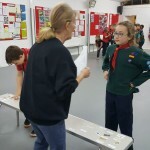 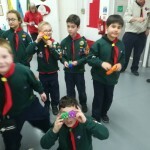 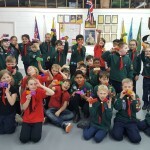 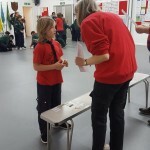 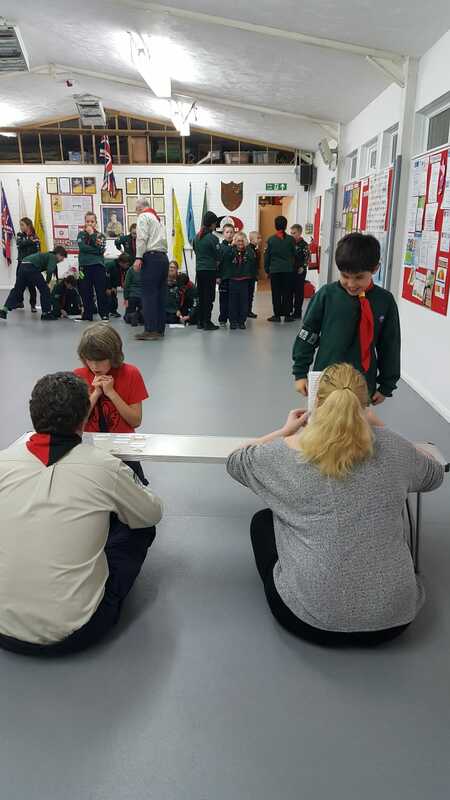 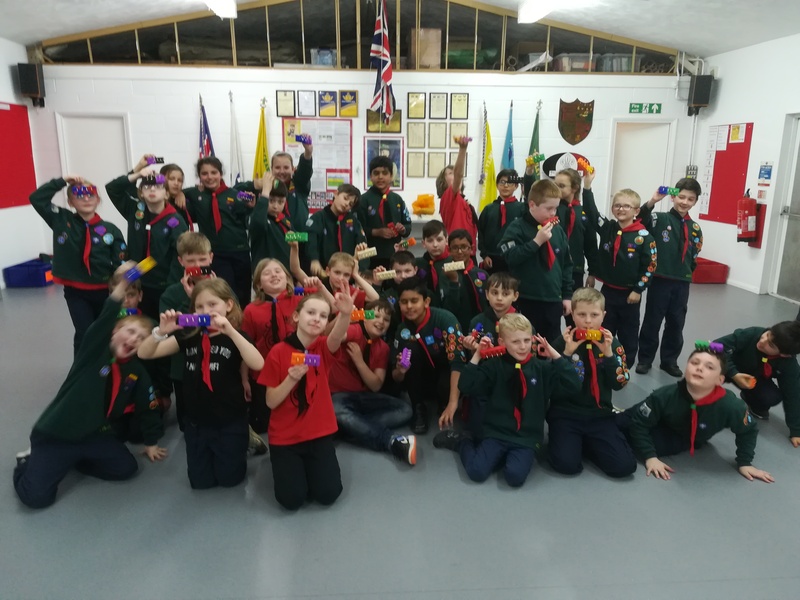 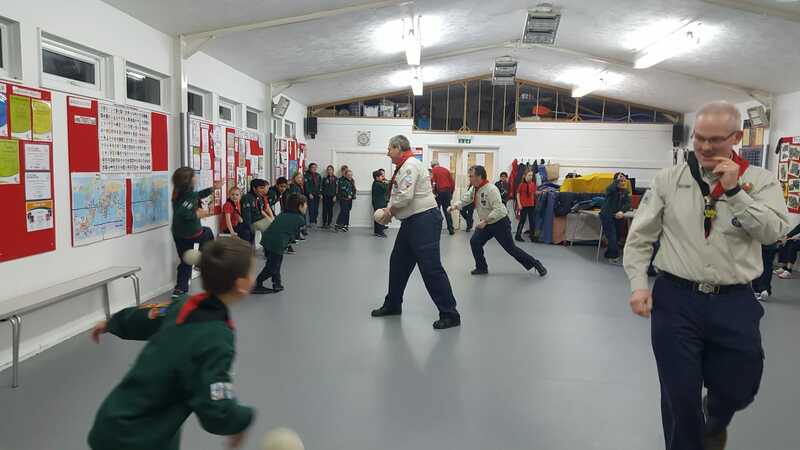 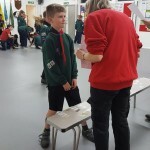 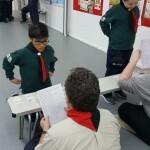 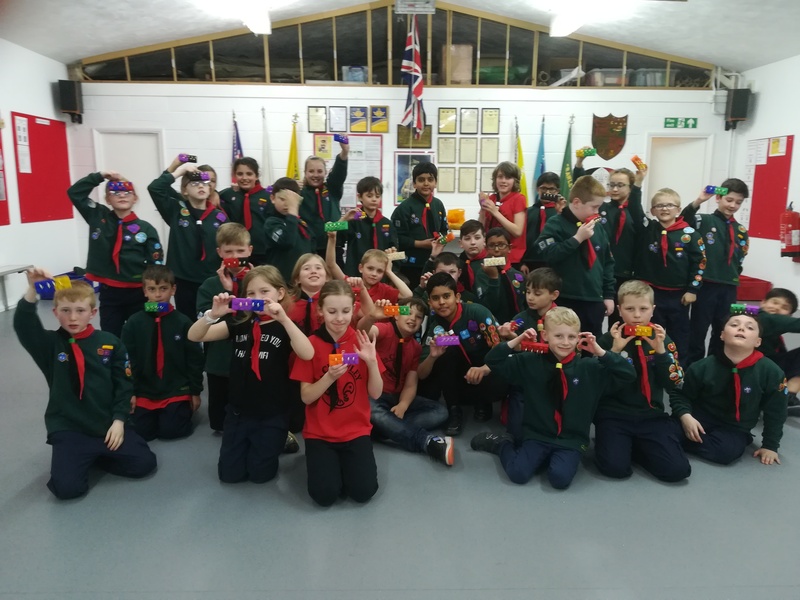 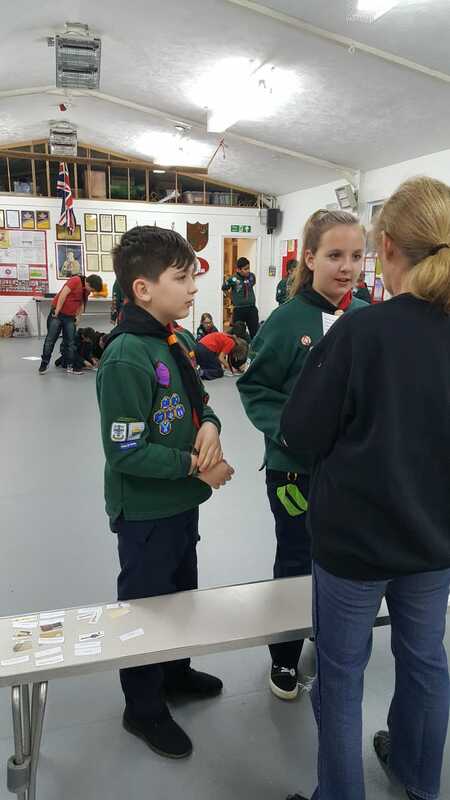 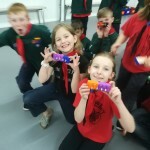 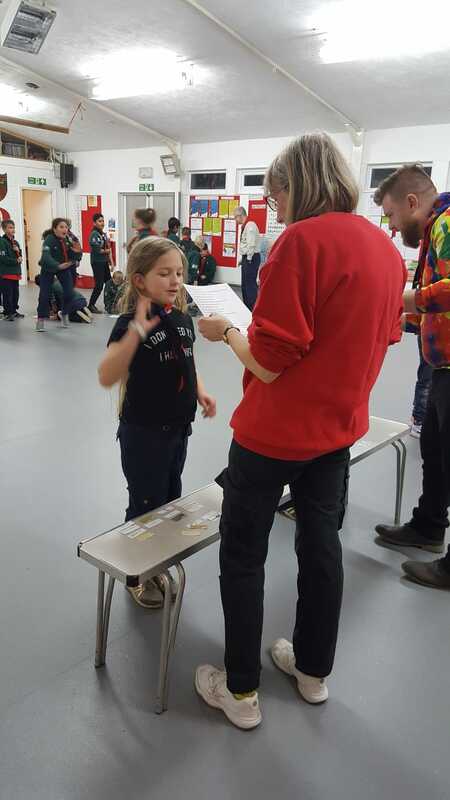 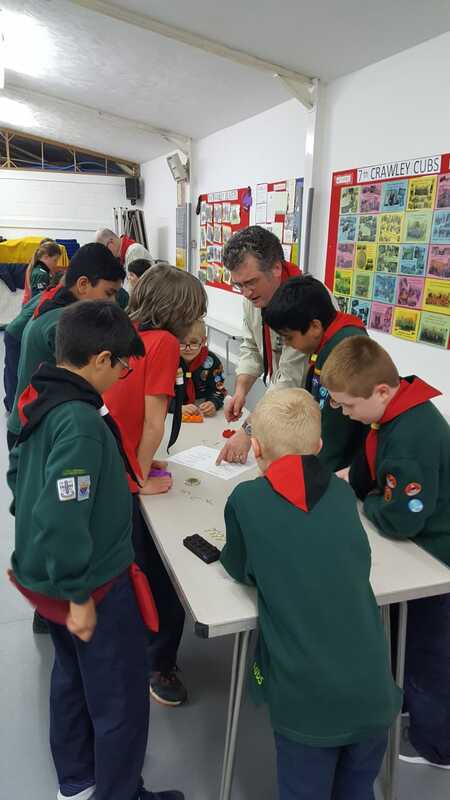 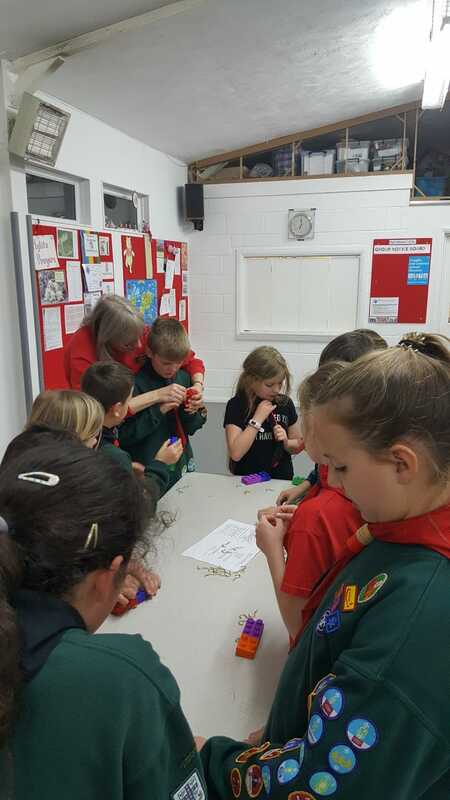 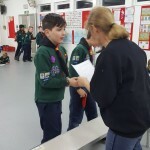 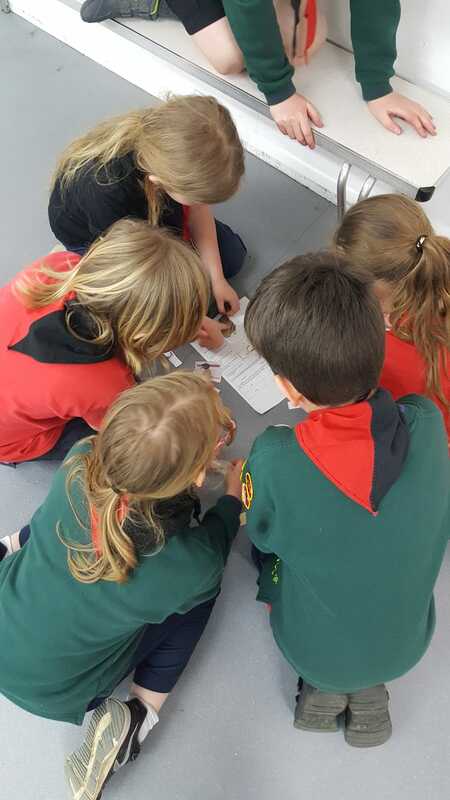 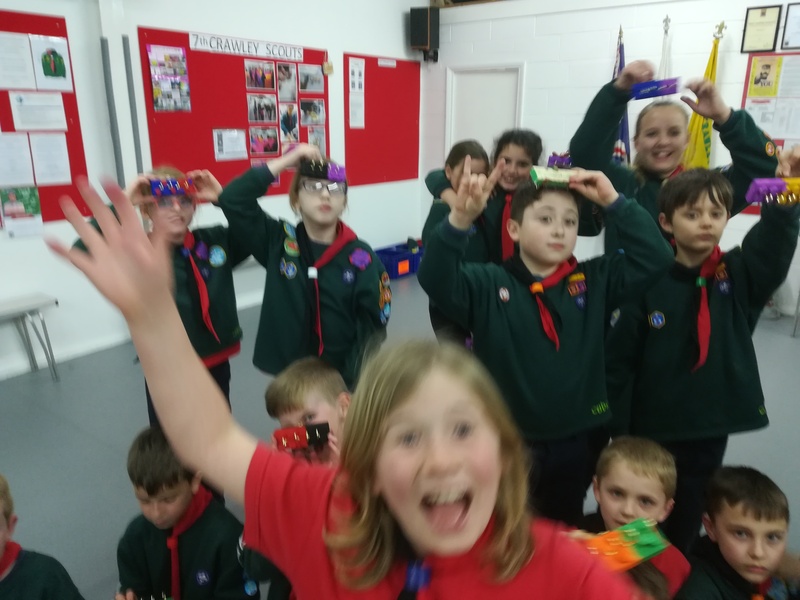 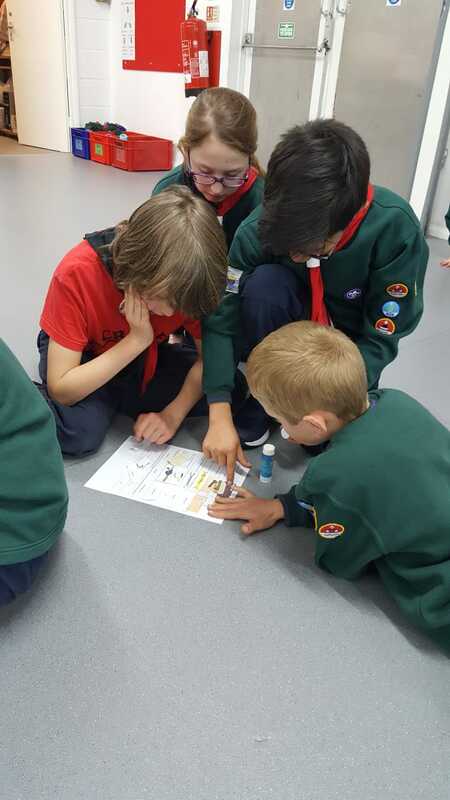 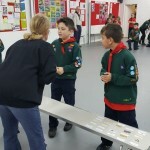 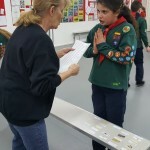 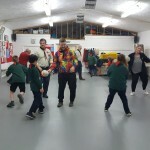 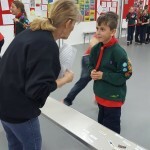 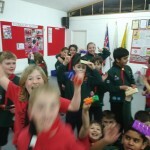 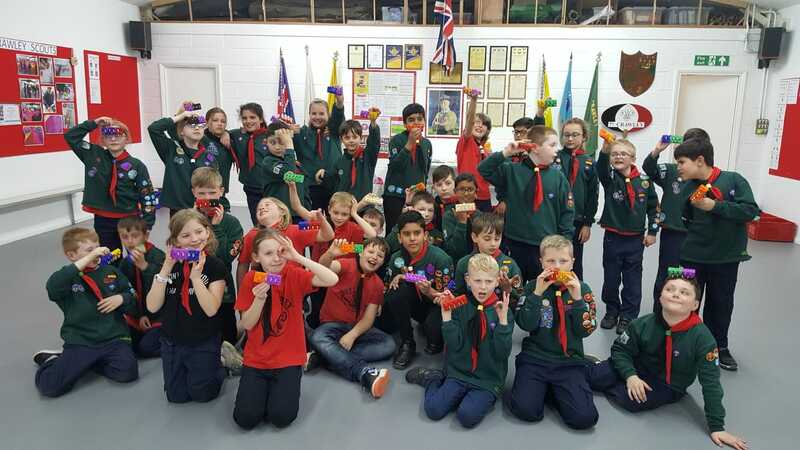 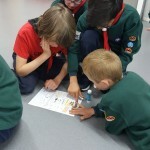 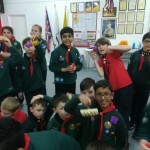 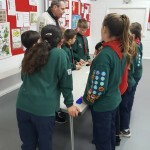 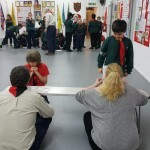 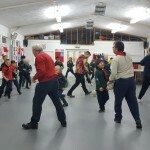 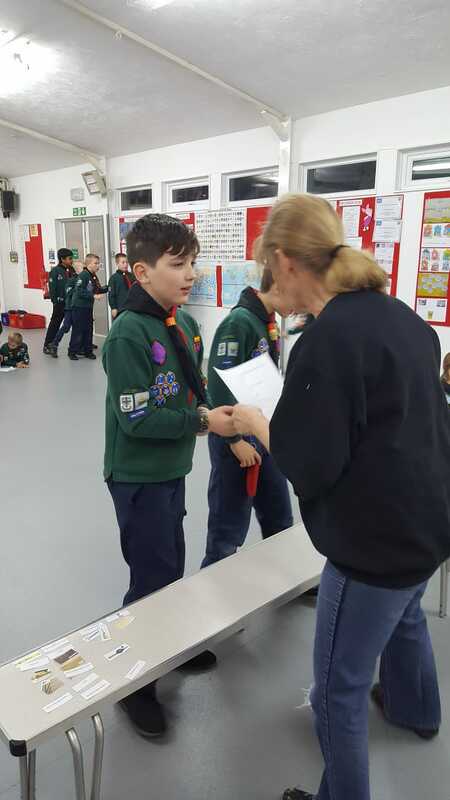 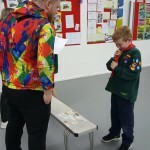 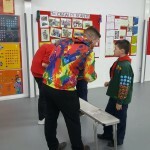 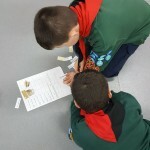 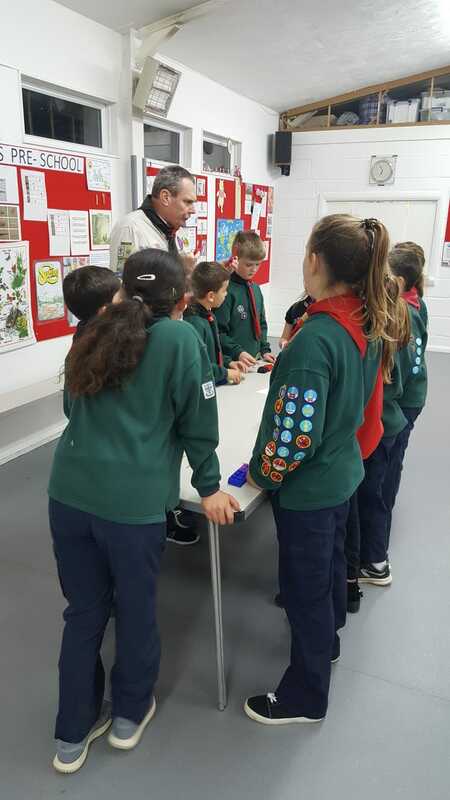 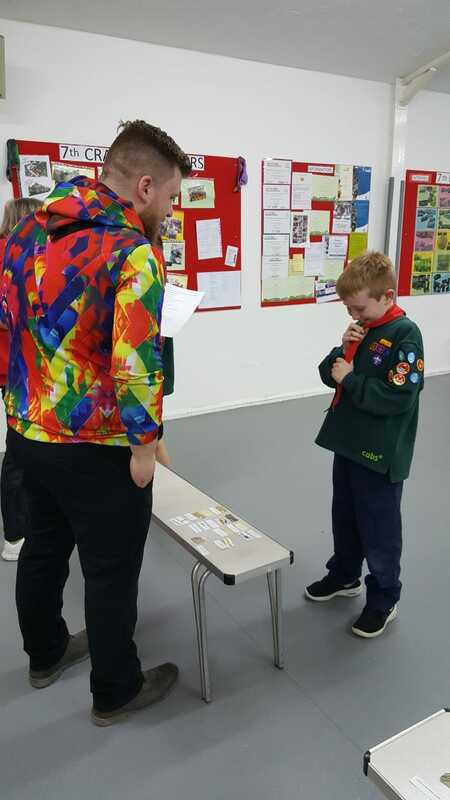 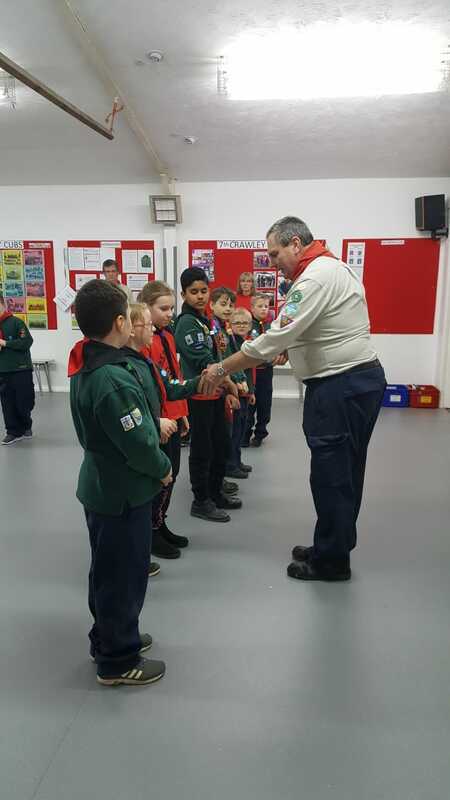 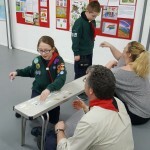 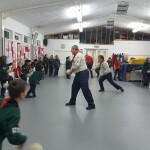 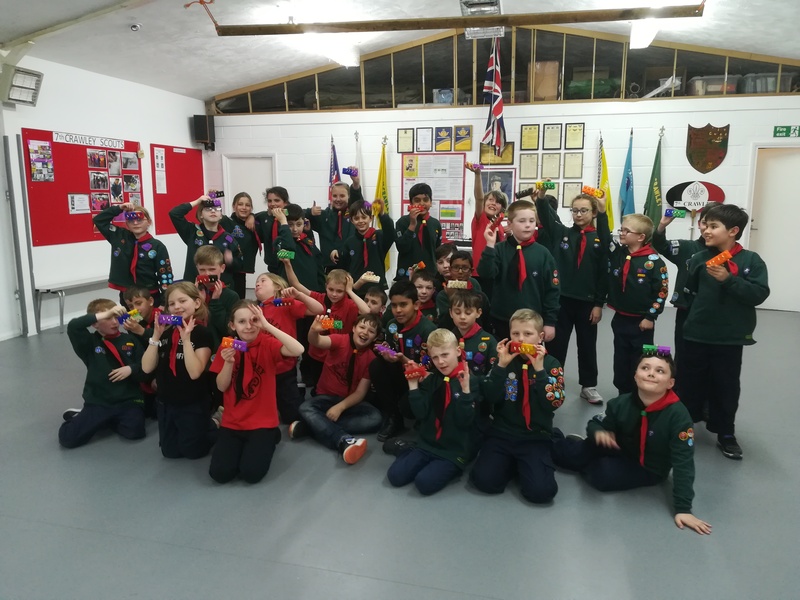 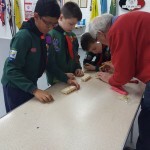 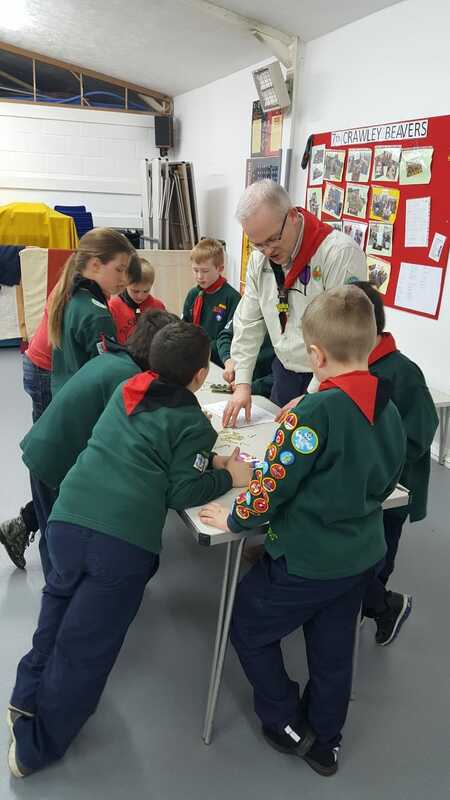 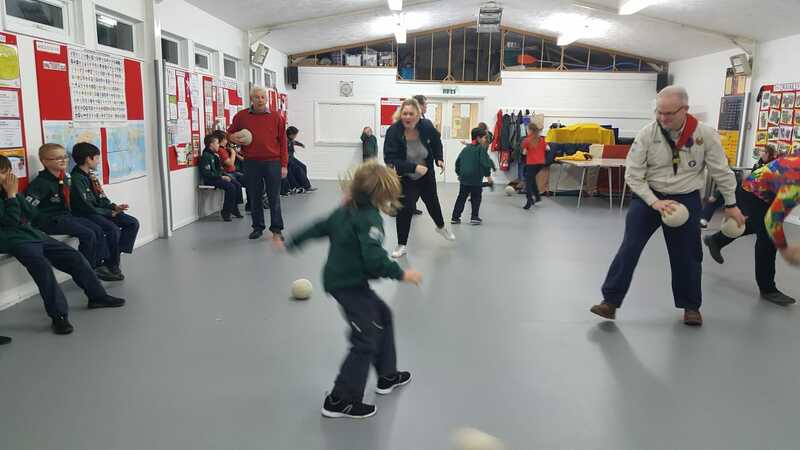 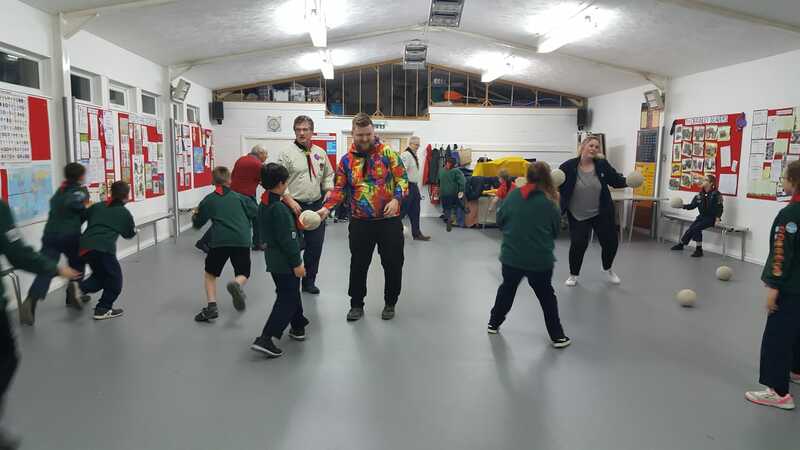 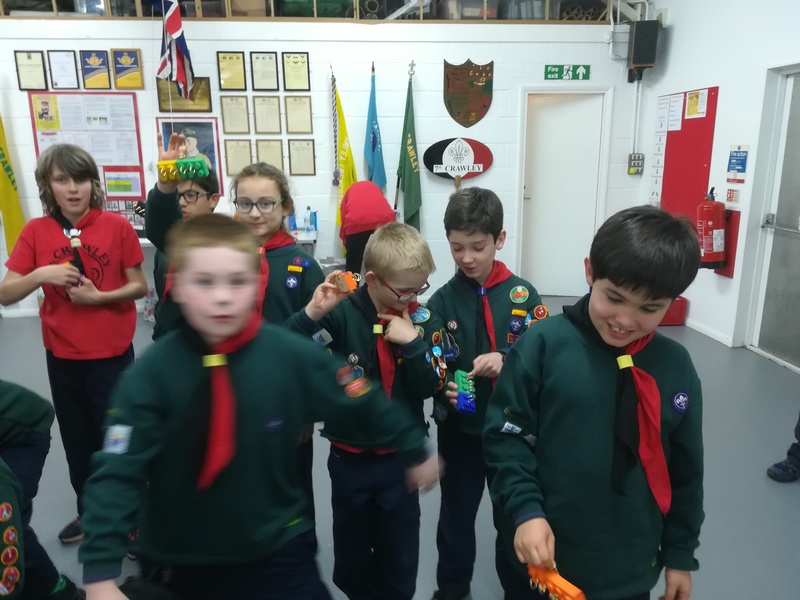 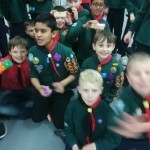 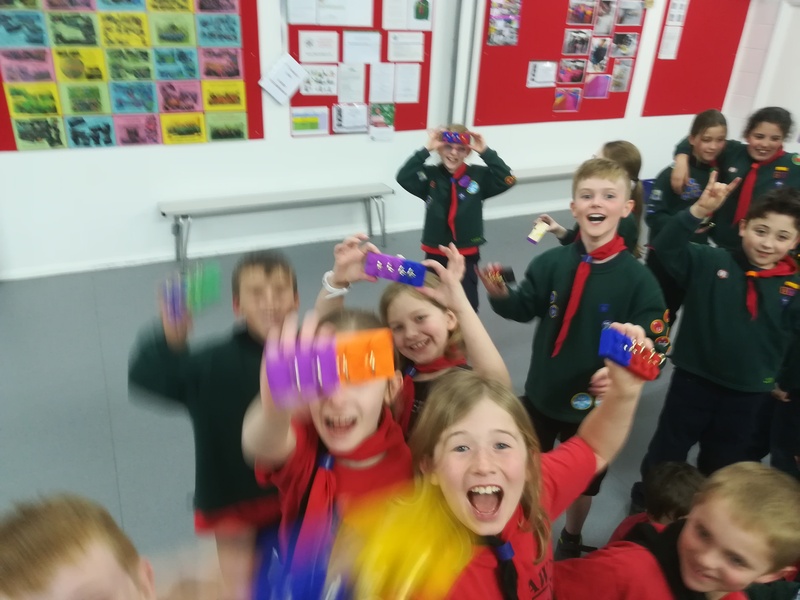 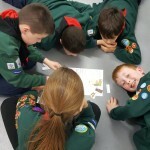 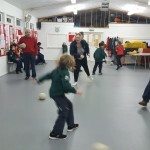 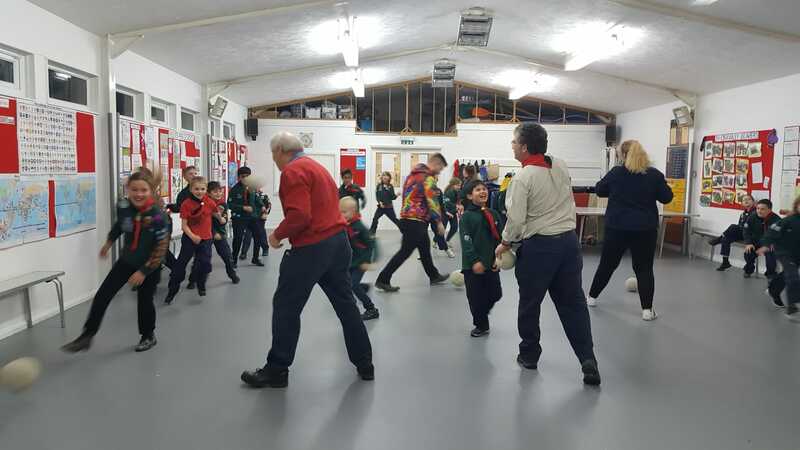 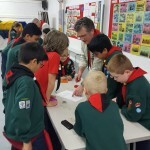 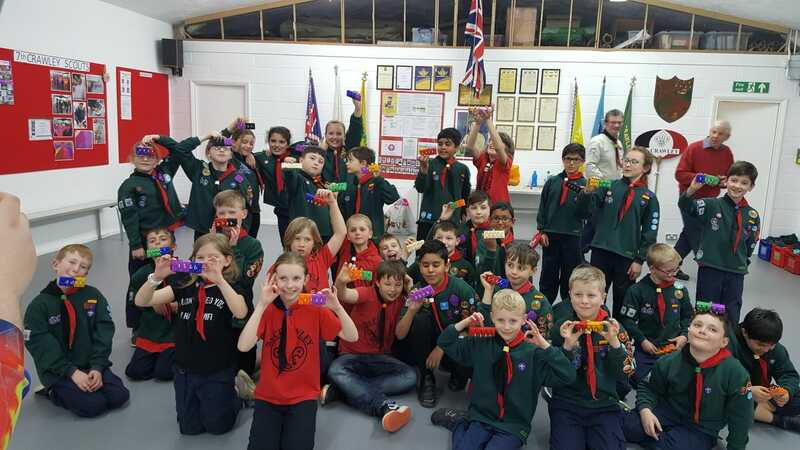 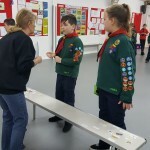 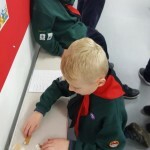 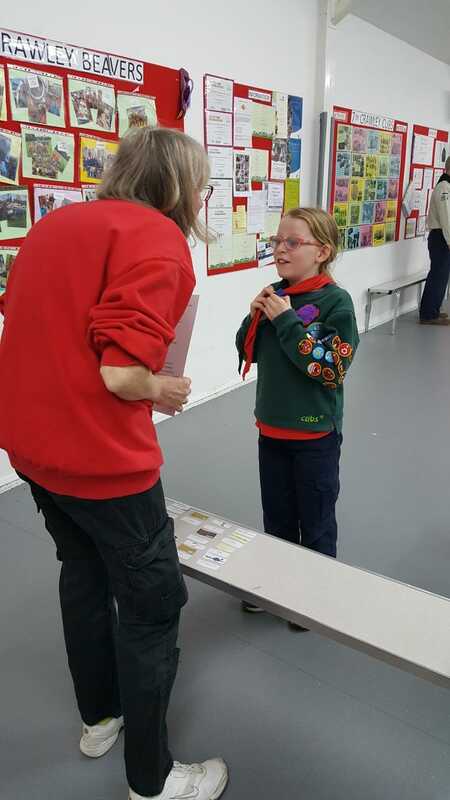 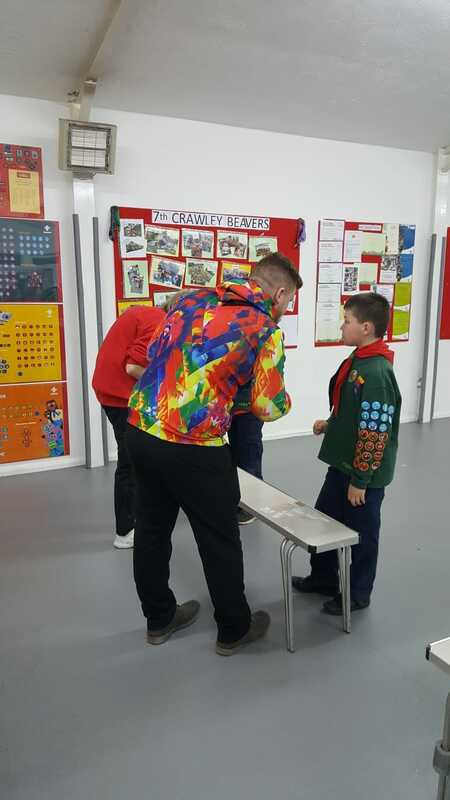 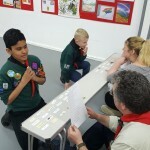 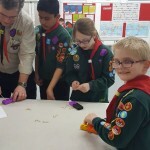 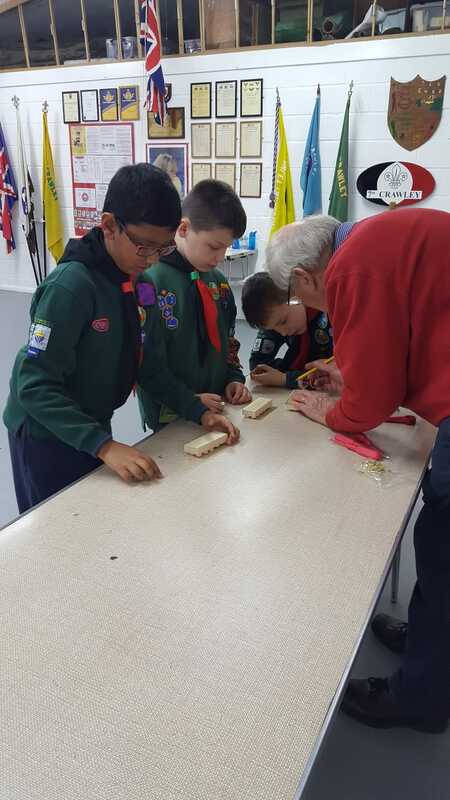 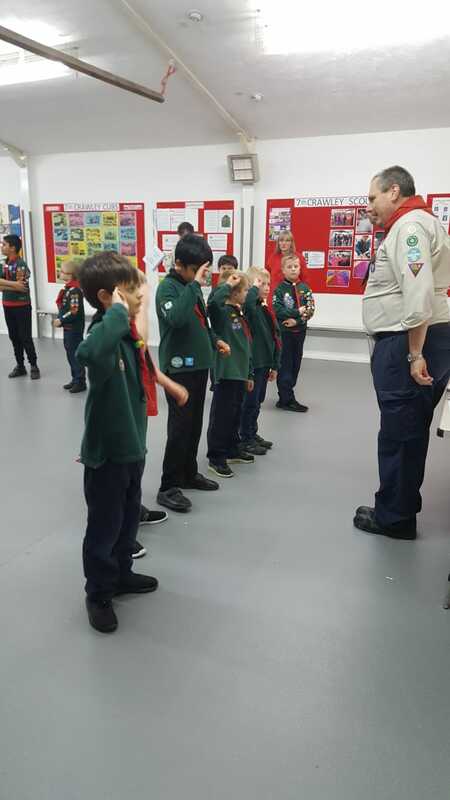 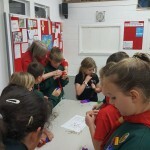 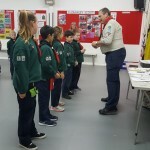 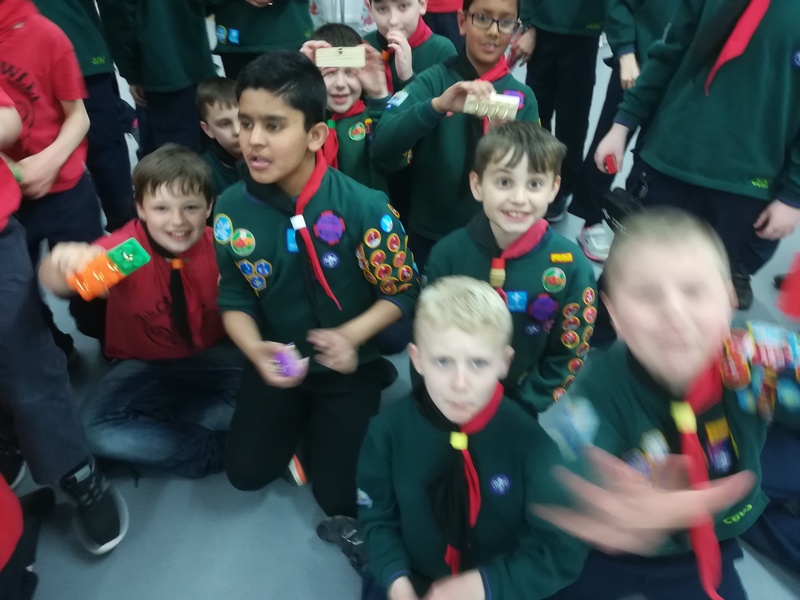 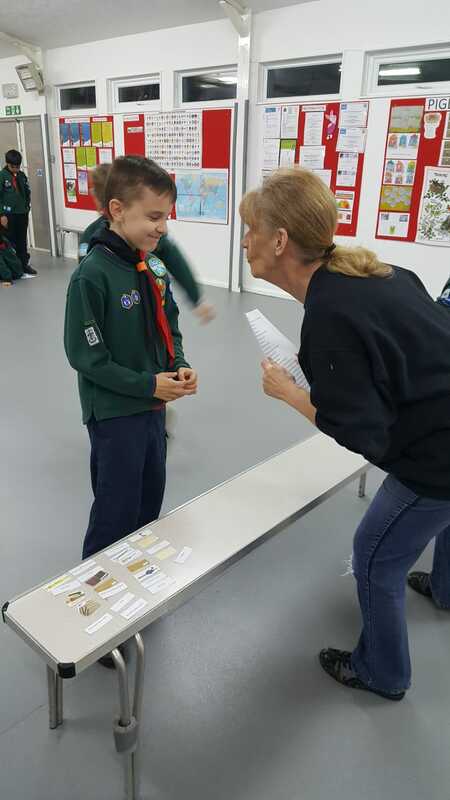 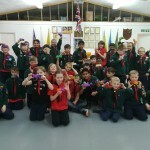 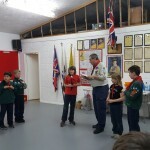 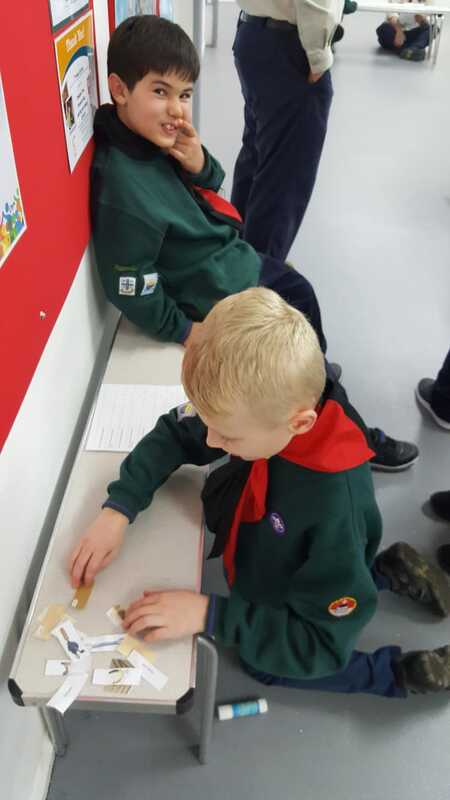 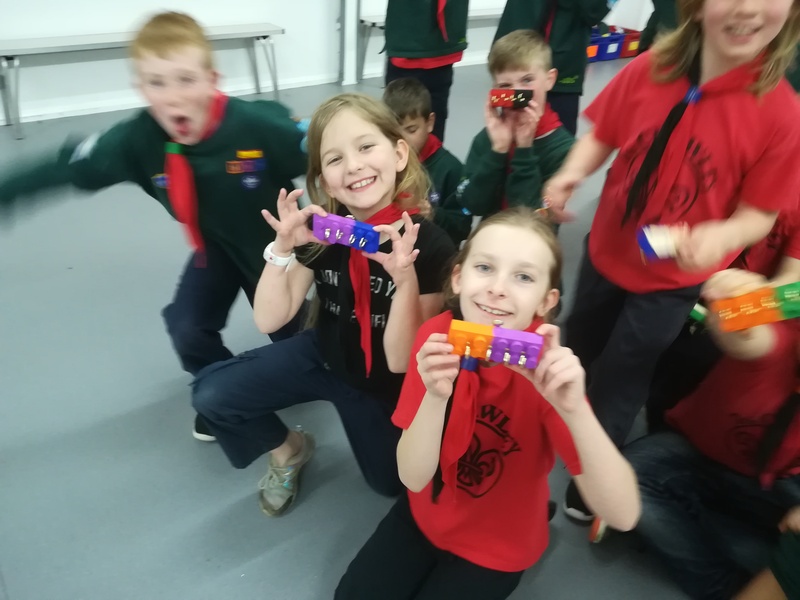 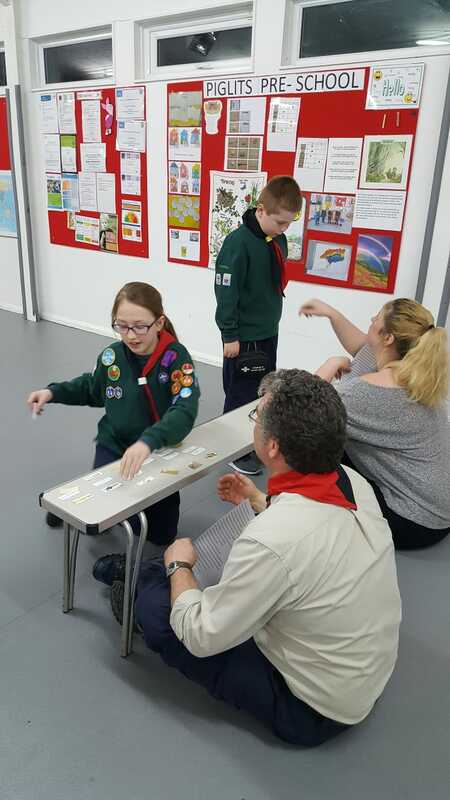 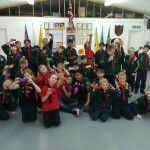 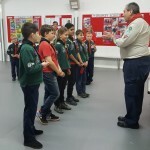 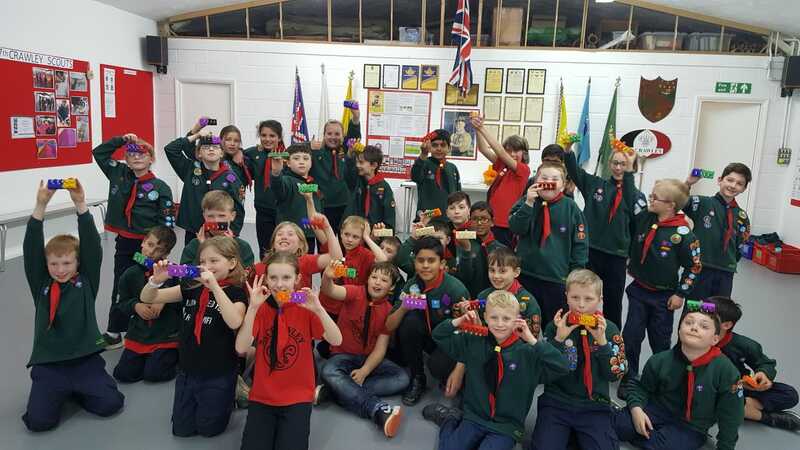 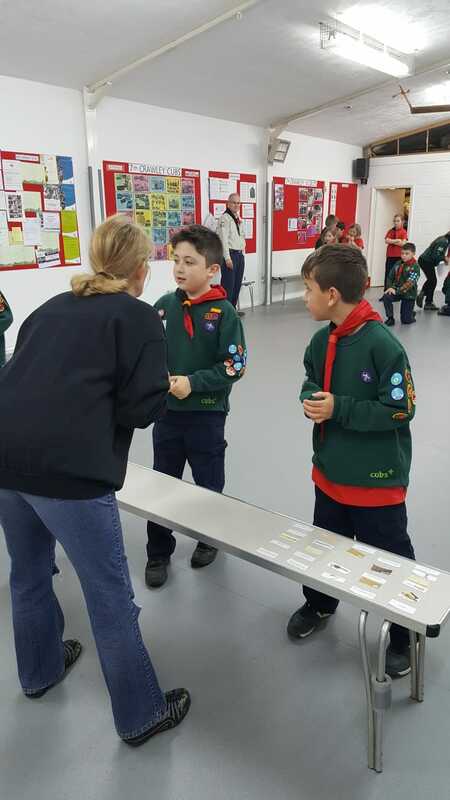 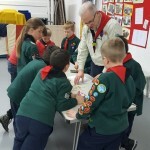 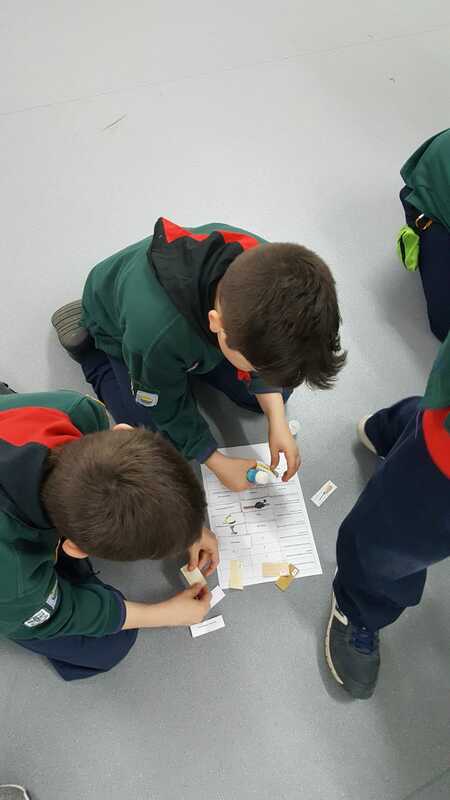 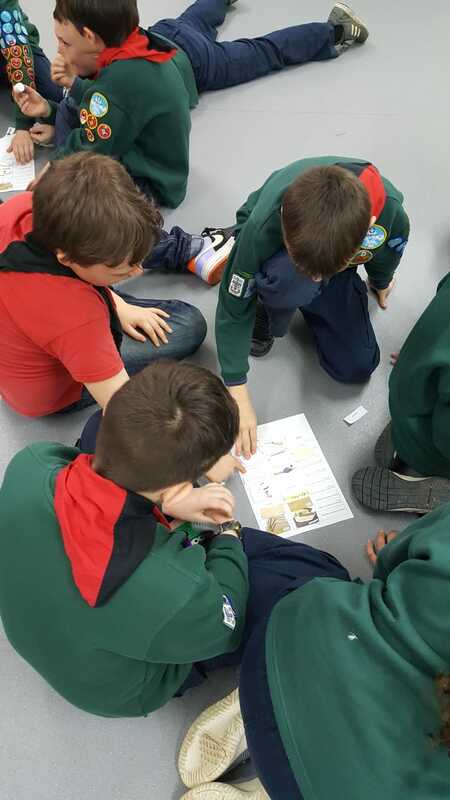 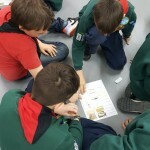 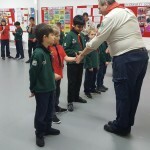 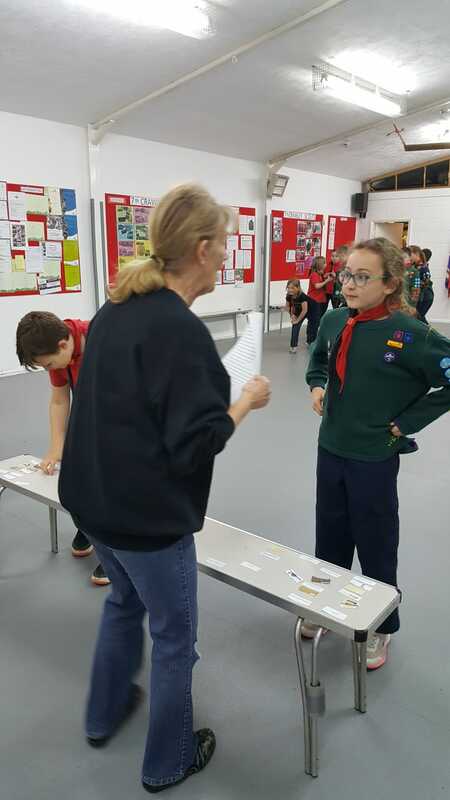 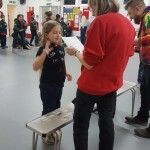 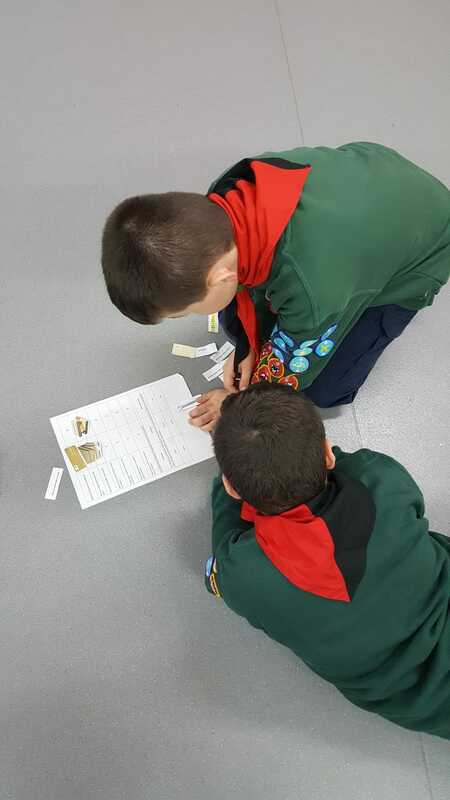 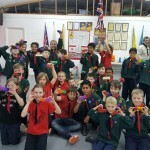 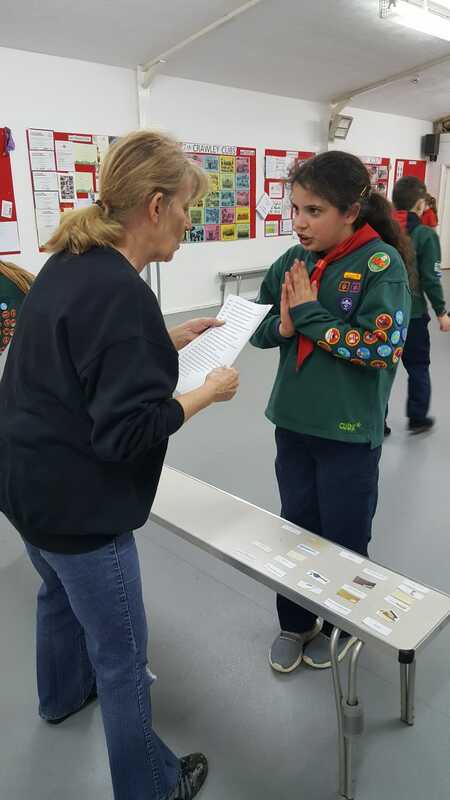 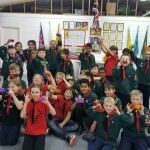 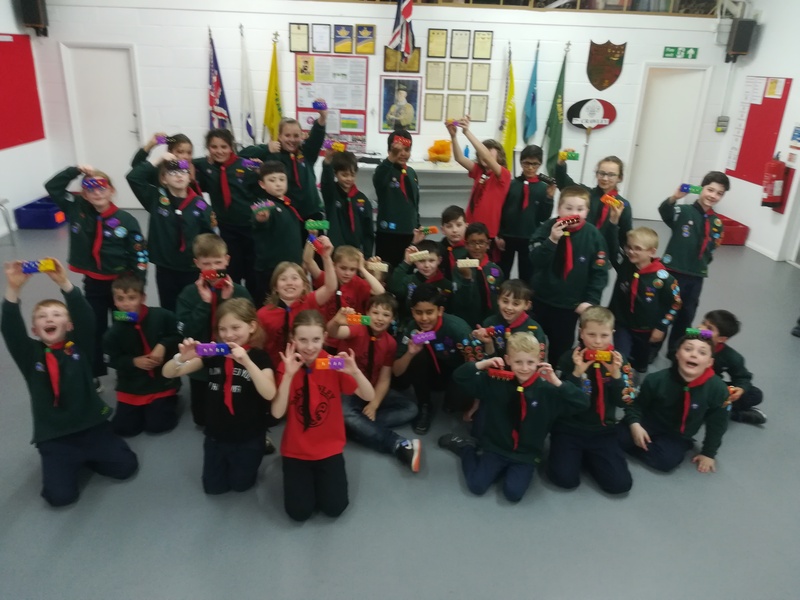 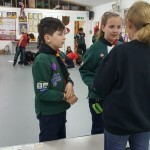 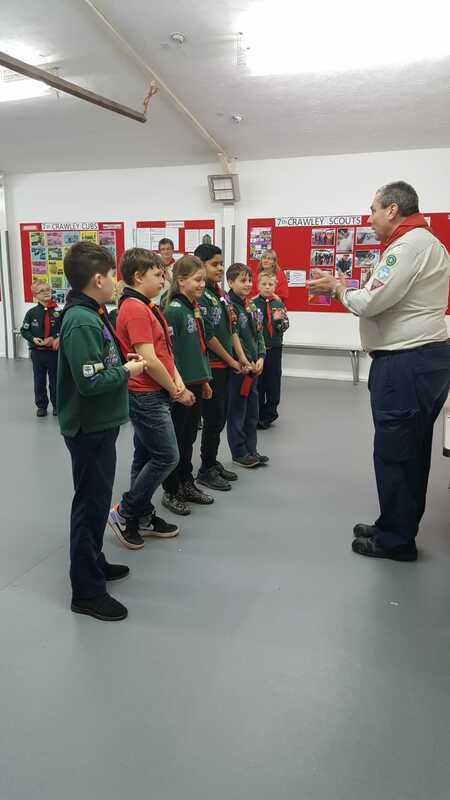 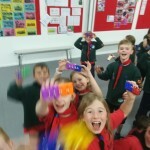 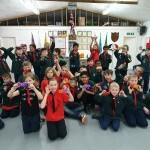 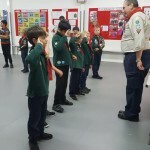 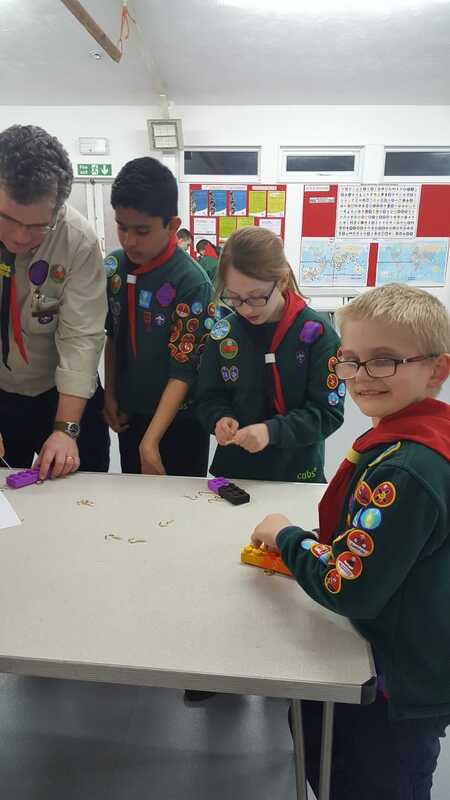 Tonight the Cubs completed the work that they have been undertaking towards the DIY ACTIVITY BADGE and I hope that you are all justly proud of the hard work of each of the cubs and the thought they have put in to their key racks. 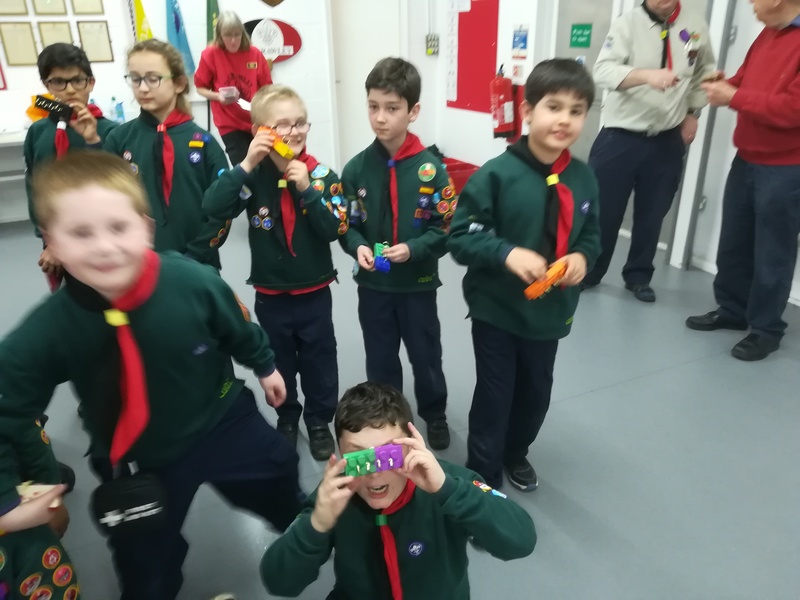 A brilliant effort was made by every single member of the Pack. 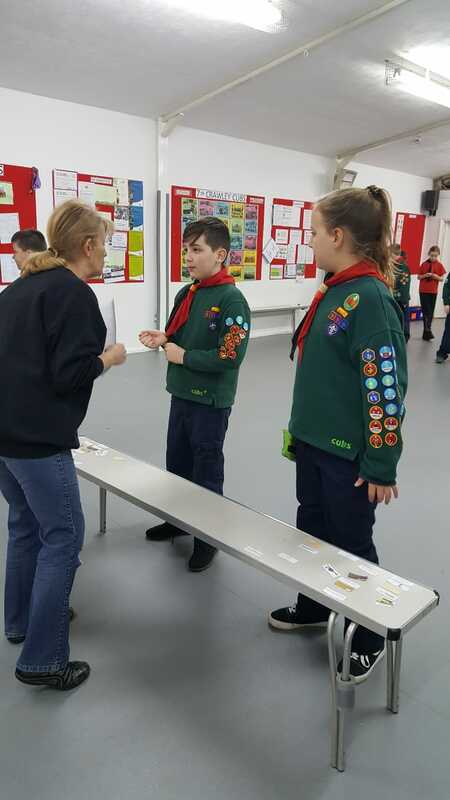 Badges have been ordered but it is unlikely that they will be in my possession before we break for the Easter holidays so I shall be handing them out in the new term. 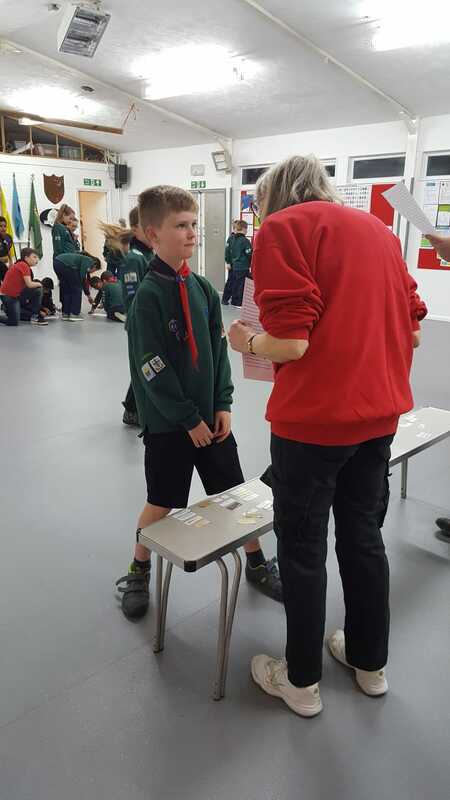 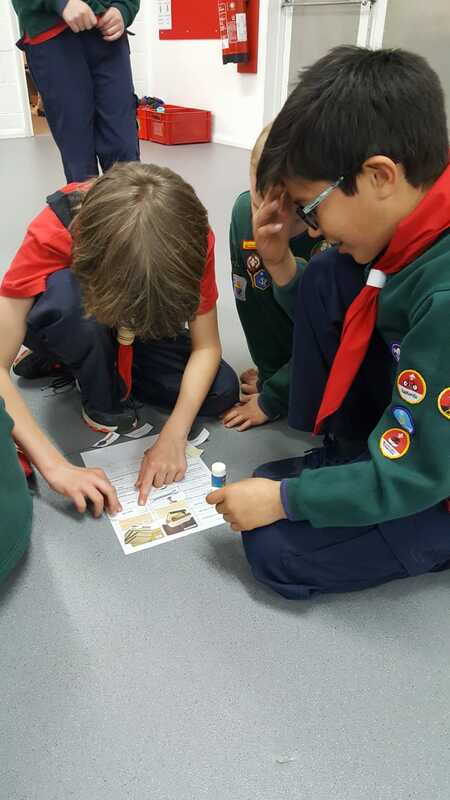 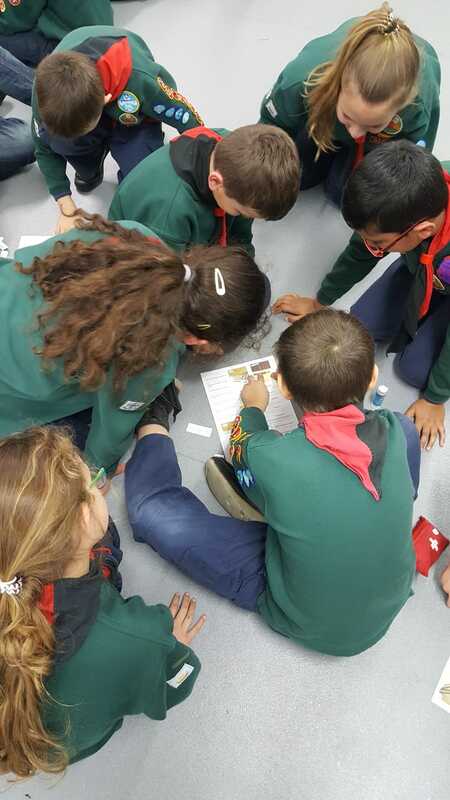 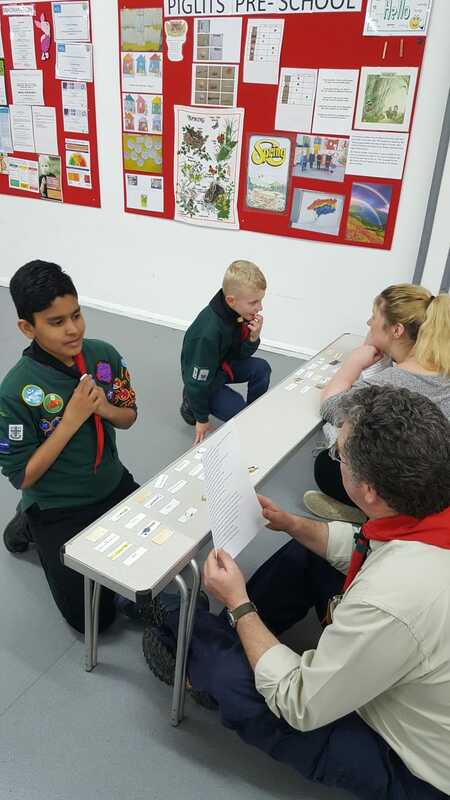 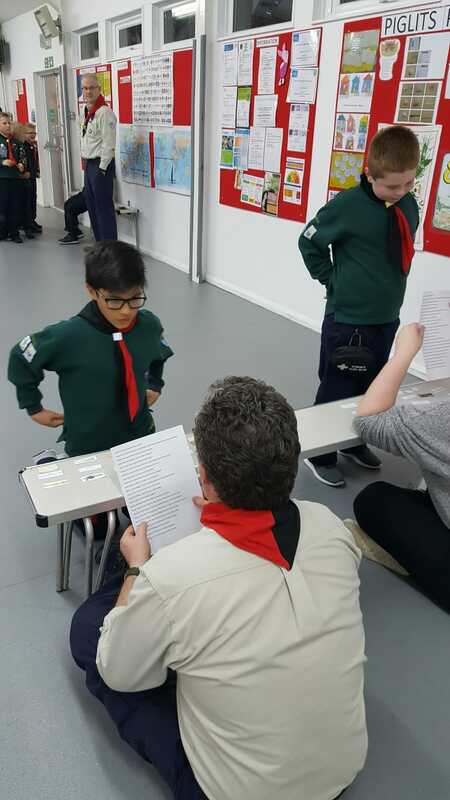 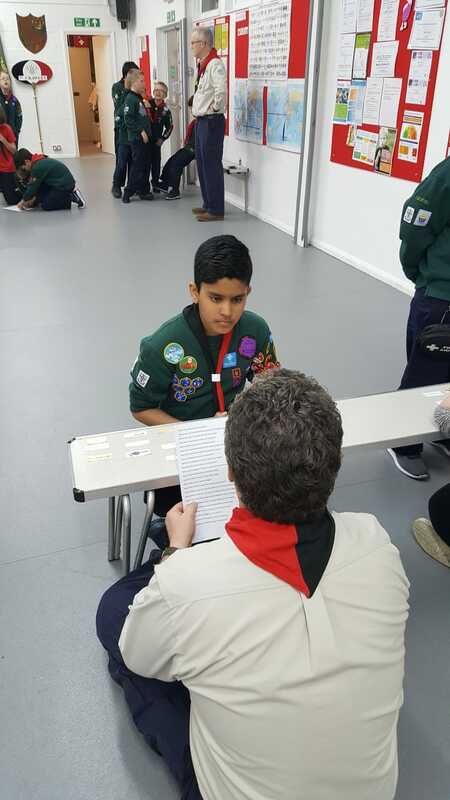 CONGRATULATIONS – Aadi, Jordan, Summer, Thomas P & Leon who completed the final part of their WORLD CHALLENGE badges and now, having gained all 7 challenge badges, have now earned the highest award that a Cub can attain whilst in the Pack – The CHIEF SCOUT SILVER AWARD! 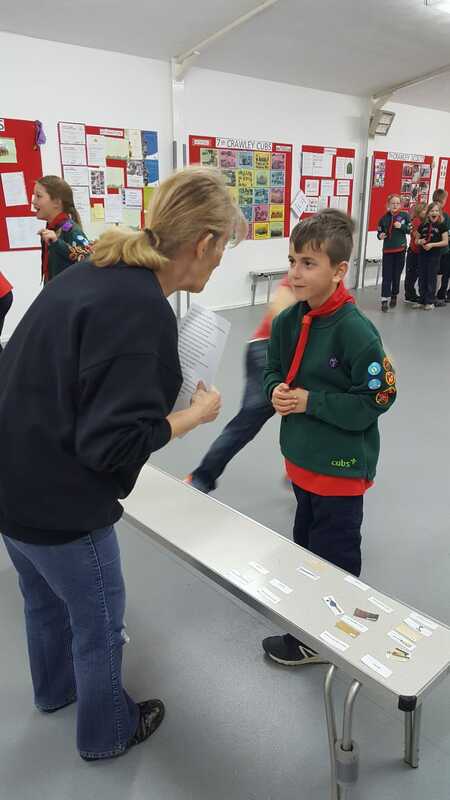 Each Cub has already received and accepted an invitation to a special District presentation evening coming up in a couple of weeks. 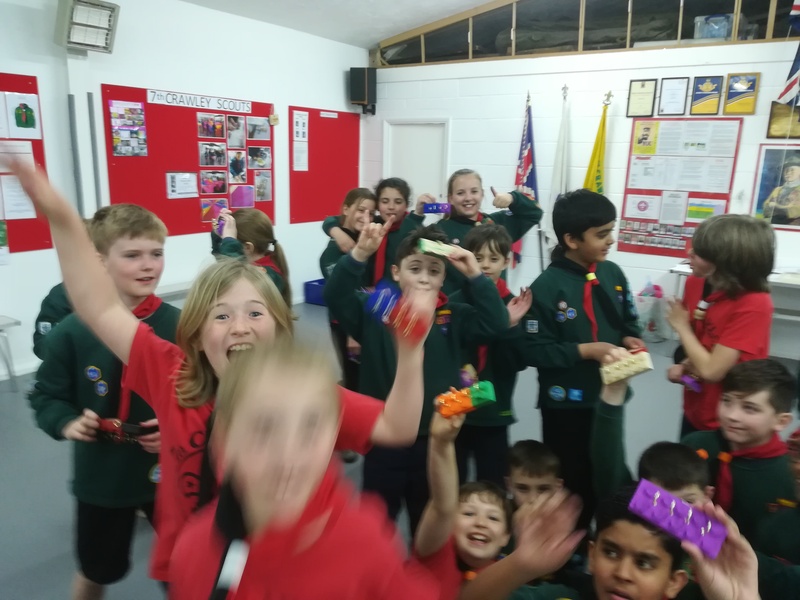 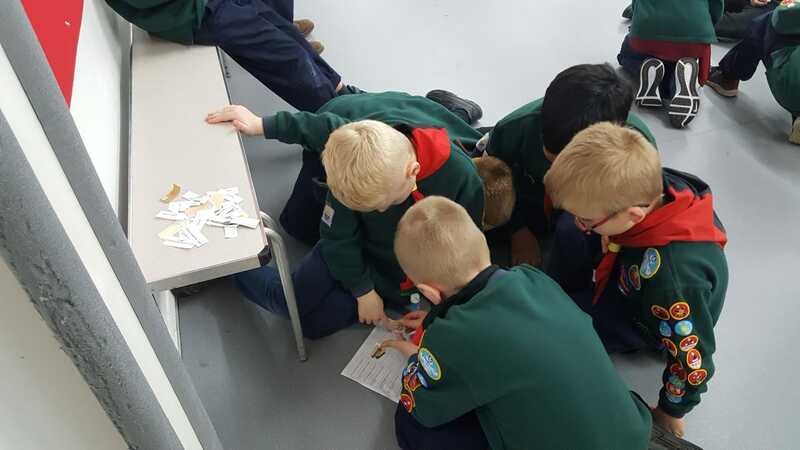 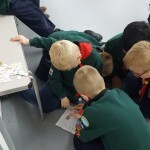 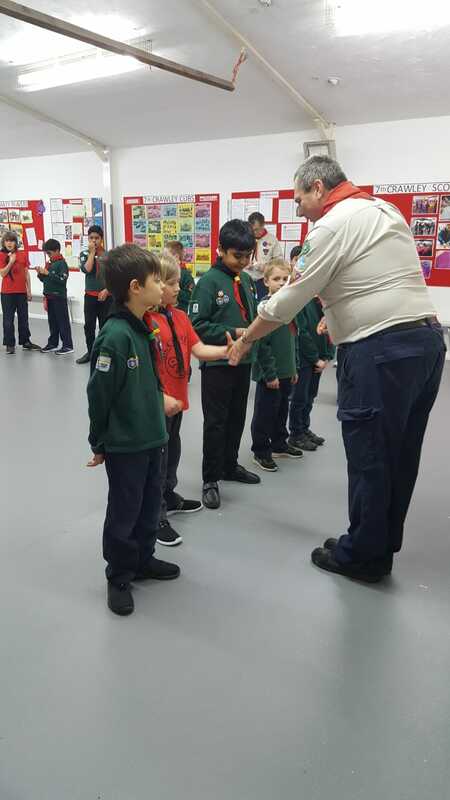 Congratulations also to the following Cubs who received their FIRE SAFETY ACTIVITY BADGE: Aadi, Tom P, Angelika, Jayden, Chantelle, Daniel E, Tom O, Katherine, Jenson, Chloe, Ethan, Aarav, James, Joel, Oskar & Daniel I. 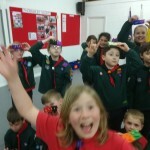 Well done to Leon & Eden who organised a party at their home (with their parents permission I hope!) 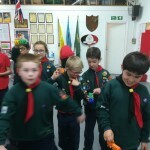 and raised over £125 for Comic Relief. 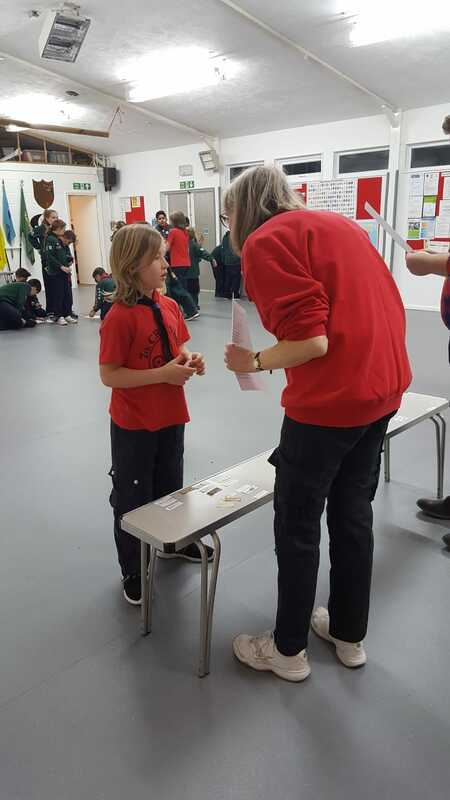 Well done to Finn as well who, in selling his comics, raised an impressive £87.50 also for comic relief. 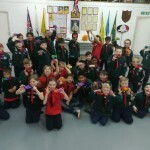 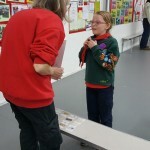 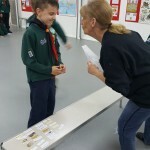 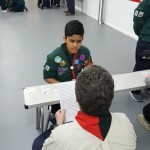 Great initiatives from all three cubs. 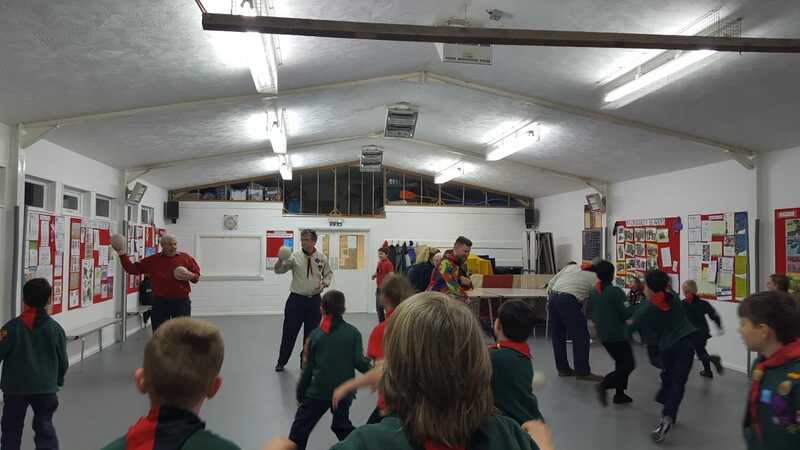 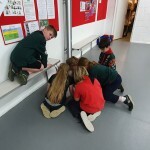 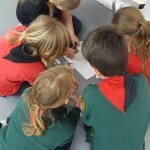 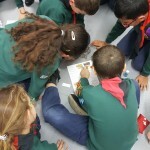 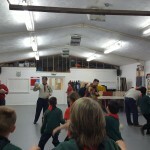 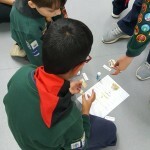 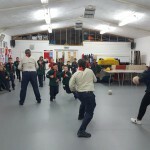 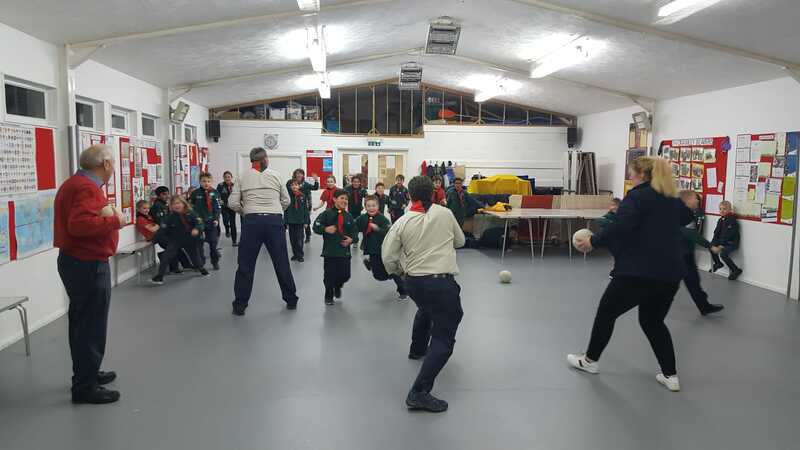 As well as putting the finishing touches to their DIY projects the Cubs also enjoyed games of “Stinger” & DIY relay!